With the new season getting closer day by day (really?) Musselburgh CC's net sessions are in full swing. Normally only a few brave souls venture down to the Loretto Sports Hall in January & February but with more Queen Margaret Uni students attending and increased competition within the club numbers have been up on usual. The net sessions have slightly taken on a new look this season and with Dave Burton providing video analysis of/for both batsmen & bowlers the club hope the league teams will reap the benefit of a good preseason. 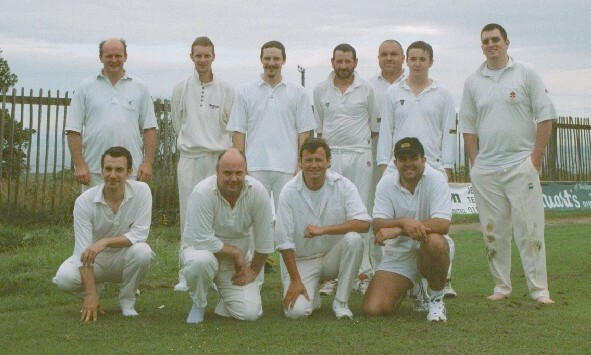 Musselburgh is also starting a 3rd XI in 2009. The team will be playing friendly games on Sundays throughout the season with a big emphasis being on introducing our juniors to the longer form of the one day game. If successful, the club hopes to introduce this team as it's 3rd League XI in the not too distant future. Work on the square at Lewisvale will start in earnest from the start of March, weather permitting. Everyone is looking forward to seeing how successful the autumn work undertaken will be. The club's relationship with Loretto School continues to grow. The club will be increasing its use of the Loretto facilities in 2009 with greater number of games and training at Loretto taking place. If you are new to Musselburgh or are looking for a new club and want to come along to our nets they take place on a Monday night from 6:45pm at Loretto School Sports Hall. Please feel free to contact the club via our Contact Us section for further information. Roll on the 2009 season and fingers crossed for a nice, warm, DRY summer! 1s and 2s have secured promotions in their respective divisions. 2s went a step further and cliched the division 7 title with 2 games in hand. With the last couple of games rained off, 1s have done enough at the start of the season, to secure promotion to division 3. They still need to play against Kismet this weekend which is a title decider. 2s have been on a roll so far this season. Still unbeaten in division 7 & securing wins quite comfortably !!! During the last month, Burgh's 1st XI have continued in good form. Wins over Edinburgh Uni Staff, Kismet and Kirk Brae mean that Burgh top the table, with an abandonment against Watsonian 3s the only cloud on the horizon. The 2s have had a frustrating month, with abandonments against West Lothian 3s, Dalgety Bay and SMRH 3s surrounding a comprehensive win over MDAFS 4th XI. The Village XI lost to Bass Rock but fought back with wins against PV (twice) and Haddington. In the cups we got knocked out the Cow Corner 20-20 by Division 1 Edinburgh Accies, but now face a Quarter Final clash in the President's Plate against Stirling County following a big win over Glenrothes. In the Parks competitions we beat Drummond Trinity in the Parks Trophy quarter final, but lost a close semi final to an Edinburgh CC team featuring 2 SNCL batsmen. The Terry Newcombe Trophy quarter final against Scottish Widows happens on Tuesday. Tufail brothers star for Burgh. Ashi & Raja Tufail starred for Burgh - both scoring half centuries. Ashi scored 58 against Largo 2nd XI in division 4 and Raja 55 against Largo 3rd XI in division 7. Musselburgh teams has had good start to their season so far. 1s and 2s are unbeaten in division 4 & 7 respectively. Musselburgh XI is also doing well; beating Bank of Scotland in Parks trophy and Drummond Trinity in Terry Newcombe trophy. But lost to Edin Accies in the President's cup. Good weekend for both teams.